The world is not short on porcelain but few brands actually have the experience or achievements to support the “fine” label many readily affix to their name. Fürstenberg Porcelain is one of the few which can wear that label with pride. The German company is impressive to say the least. 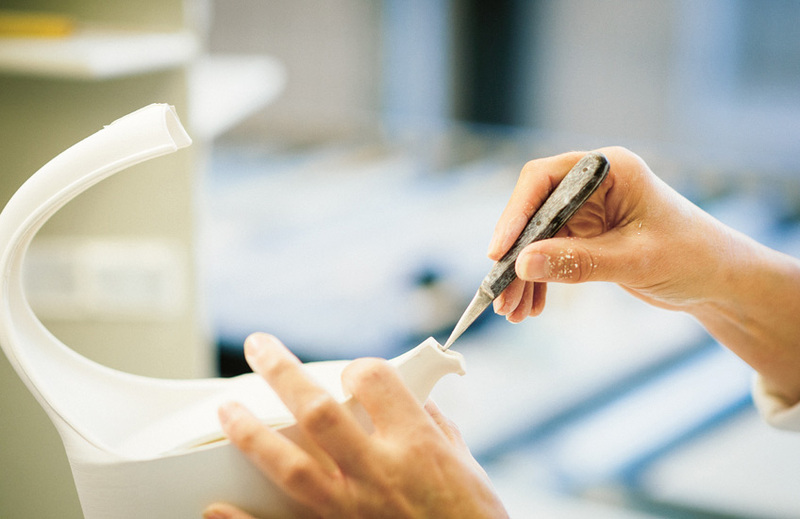 If what you look for in a porcelain manufacturer is old-school techniques meets new-school creativity, generational craftsmanship and a sharp eye for contemporary styles, Fürstenberg Porcelain delivers on all fronts. Fürstenberg Porcelain first entered the decorative arts scene in ‘47. 1747 that is. The brand was founded in the Lower Saxony principality of the same name by Duke Carl I of Brunswick-Wolfenbuettel. (The brand has been overachieving from day one.) This founding came only 40 years after the invention of porcelain in Europe, making it the second oldest porcelain house in Europe. Since then the brand has enjoyed uninterrupted production – of which it is extremely proud – and has continued to trailblaze in the industry since then. Like all respected luxury brands, Fürstenberg Porcelain is dedicated to manufacturing all of its pieces in its home country; in fact, for this brand, home is even more than a home country or a home region since it has never even left its original site. Adorning the gates of the brand’s remarkable complex, a blue crowned “F” on porcelain plates signifies the Fürstenberg presence as well as the brand’s previous connections to the German nobility. Here, each day craftspeople – some the children and grandchildren of previous employees – spend hours creating with centuries old techniques. Much of the production is still rooted in manual craftsmanship. “It is only manual skills that allow the highest quality expectations to be achieved,” the brand intimates. The Museum Schloss Fürstenberg is also located on the same site. When asked how things have changed in the Fürstenberg camp over the last two and a half decades, senior Fürstenberg Porcelain spokesperon Frank Gattermann-Buder reveals, “In general it is the same as in 18th century [when] the company had been founded by the Duke of Brunswick. Still, every single porcelain article is touched by around 100 hands, from the beginning of process up to the warehouse storage.” This isn’t a brand to take its centuries-honed processes lightly. It might be said that it is impossible for a brand to survive as long as this one has without some kind of fuel. That fuel is, of course, passion. “Love for porcelain and a passion for real craftsmanship are what allow Fürstenberg porcelain masters to create magnificent products,” its website says. 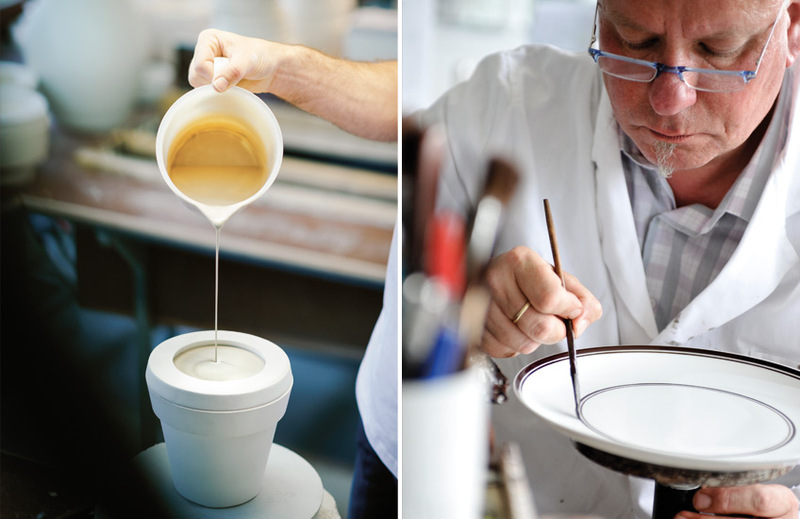 Whether reviving 1000-year-old glazing techniques, reinventing designs from the 1930s or porcelain painters using “intuition to find the perfect brush stroke”, everything by Fürstenberg is achieved out of passion. And, yes, it’s true that passion and creativity are important tenets of most luxury brands, but this porcelain house is evidently unique. What has made Fürstenberg Porcelain survive as long as it has might just be this balance of quality and future vision. From the super-fine walls of its products to its faultless materials, the work of Fürstenberg speaks of quality through the lens of the past and future. “Our claim is ‘Contemporary since 1747’,” Frank explains “Out of each European style epoch we have at least one authentic shape. Each shape was contemporary and most modern at its time.” The trick to the fountain of youth really is to remain eternally at the source. Working with a “young and dynamic team”, Fürstenberg’s formula for maintaining a fresh approach to design and always producing relevant pieces, is its open mindedness to its industry. The brand does well operate outside of a design vacuum which would be unwilling to respond to changing times and tastes. The team – the undoubtable lifeblood of the company – continues to look for new ideas and new design interpretations. Perhaps it is this that keeps the brand ahead and keeps the awards rolling in. (Fürstenberg has received notable red dot: best of the best and iF product design awards to name a few.) 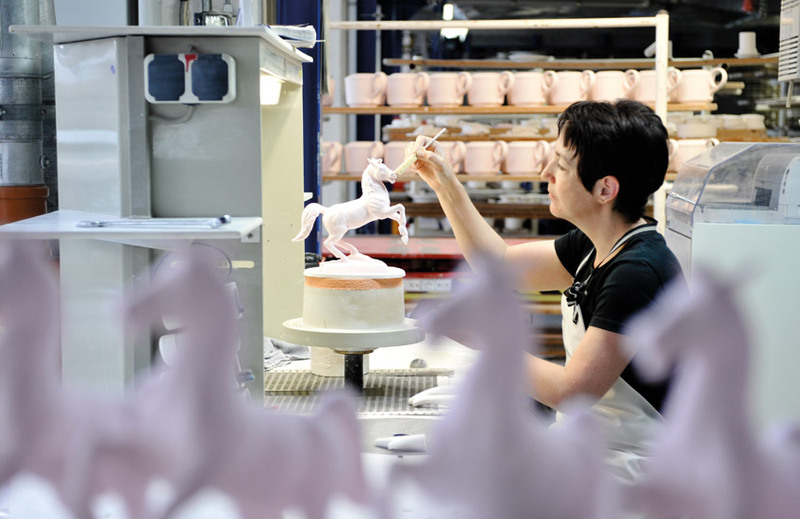 It is they who design, innovate and produce and ensure that Fürstenberg Porcelain continues on into each subsequent decade. According to the brand, “Precision has a name.” And that name is Fürstenberg.